it's been a while since i last did a home and decor related post! i've been spending a lot of time just browsing on etsy lately and came across tala designs. 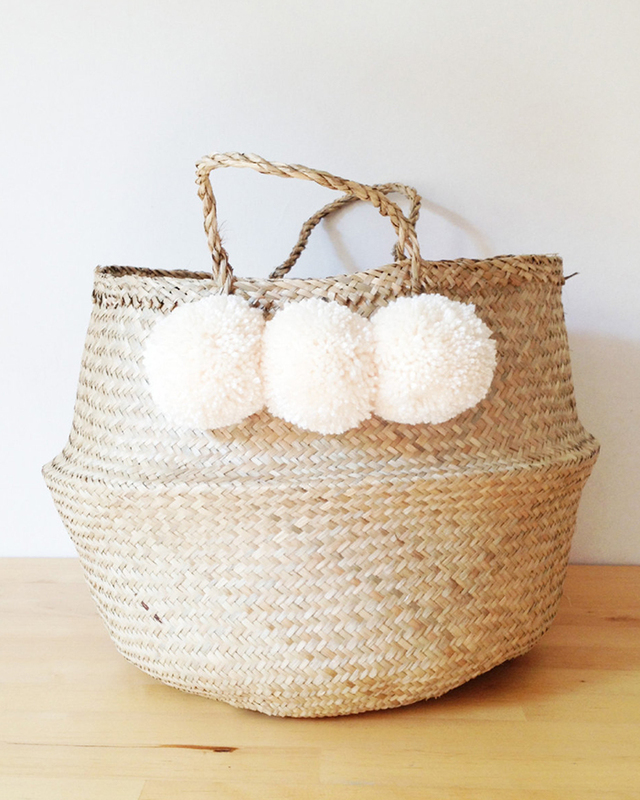 i'm all about baskets when it comes to storing things around the home, so it's definitely no surprise that i fell in love with these dipped and pom-pom adorned sea grass belly baskets. any favorites? i'm partial to the cream pom-poms basket or this metallic silver basket!